It was a beautiful winter day. Mild for Canadian winter standards (-5°C). And there was a fresh coating of snow from snowing the night before. 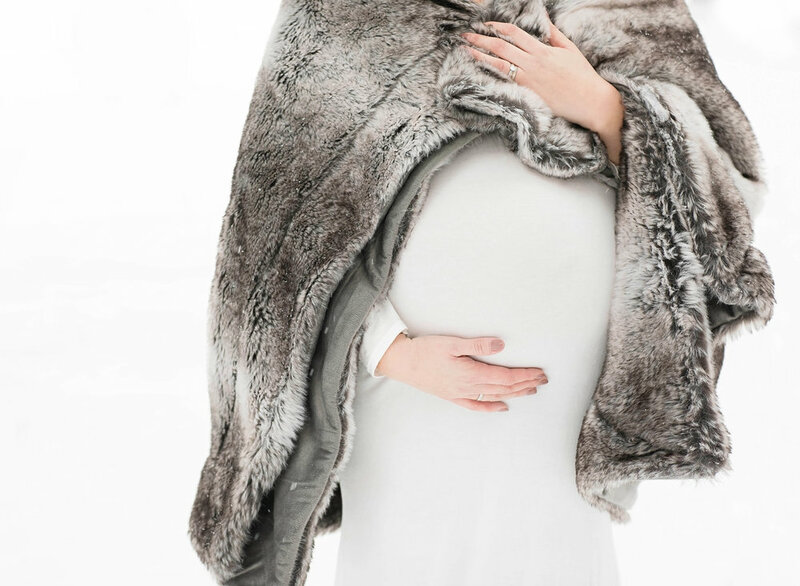 It made for some very pretty maternity photos, with the trees being covered in a blanket of white fluff. The skies were completely clouded over, which also made for some beautiful diffused light. I was SO excited to be shooting these maternity portraits on such a perfect day. I had envisioned this winter photo session almost exactly how it turned out to be: fresh snow on the ground and on the tree branches, no wind and not too cold. Super excited to meet baby Curtin #2 coming at the end of the month! Jessie's Maternity Session was captured in my studio & outdoors in Lindsay, ON for booking information and availability, please email us via the get started tab.